The Business Plan (last updated 2004 for the years 2005-8) demonstrates gaps between expectation and reality. Due to the overwhelming volume of activity associated with the ARCHWAY project 2004-8, other aspects of WTFC’s work have been limited in recent years. A notable and worthy exception has been the Piran/Valletta schools initiative. Led by Chester, ARCHWAY absorbed almost the whole of the assigned working time of the Secretary General (Chester), of myself, as academic adviser (UWE, Bristol) and the WTFC efforts of the other eight partners. The cash cost to WTFC of £10,000 to support ARCHWAY was not matched by any grant-aid to WTFC but only to the partner members. 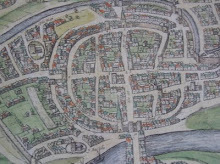 ARCHWAY produced valuable reports on making walled towns more accessible to all and created the Technical Network which, ably led by ARABARRI, has great potential to generate bids and formulate advice. But ARCHWAY did show the risks of creating an ‘inner circle’ of towns. 1. Act on the Constitutional imperative (Section 2.3) to appoint Trustees to oversee WTFC funds. 2. Put the Secretariat on a stable and neutral basis by forming an alliance with the Historic Towns Forum (see excellent website of EHF at http://www.historictownsforum.org/). Their efficient Secretariat is based at UWE, Bristol and their Executive Committee and Chair are sympathetic to an arrangement and have made tentative proposals for discussion. These will not cost WTFC much more than current arrangements with Chester. I retired last year from University of West England, Bristol and can therefore commit substantial amounts of voluntary time to WTFC and its member towns to ensure a clean handover from the Chester and West Cheshire Secretary General, update/renew the Business Plan and prepare the way for a Presidential Election in about two or three years’ time. In accordance with practice before 2000, I would reinstitute a separate Chair of the Executive, elected from and by that body and endorsed by the AGM. 3. Set up a constitutional e-mail working party to make firm constitutional proposals for wide consultation before and then final discussion at the June 2010 Executive Committee with the intention of proposing specific constitutional amendments to the 2010 AGM. 4. Encourage new and reconnected existing local WT networks e.g. Veneto and co-ordinate activities with other historic town networks – EHF, EAHTR, Cittàslow, Hanseatic League, Vauban Towns etc.. Full use of revived websites and our Symposia will be how to achieve this priority. 5. Develop with the ‘Peace through Tourism’ movement Canterbury Accord activities and if support can be generated develop a mutual help network to aid in the restoration of civic pride for walled towns worldwide, which suffer disasters though earthquake, other natural causes or war. I will listen to the concerns of every member town and support effective initiatives in line with our existing Objectives. I will encourage WTFC to promote sustainability and to counter global warming. Personally I aim to flying less far than I travel by train and to driving my car less far than I cycle. Working with the walled town of Chepstow (1989-1994) and living for seven years in Chester introduced me to walled towns. I contributed to drafting the first Constitution of WTFC at the Cardiff Symposium (1991) and have attended and contributed to every annual Symposium and nearly every Executive Committee since. During this time and with others, I have initiated and led many bids and projects funded by the European Commission. The ‘Soft Sustainable Tourism in Walled Towns’ project (1992-94) helped establish WTFC and generated a contribution of some €4000 to the reserves of the Circle by putting value on the voluntary work of the Secretariat. 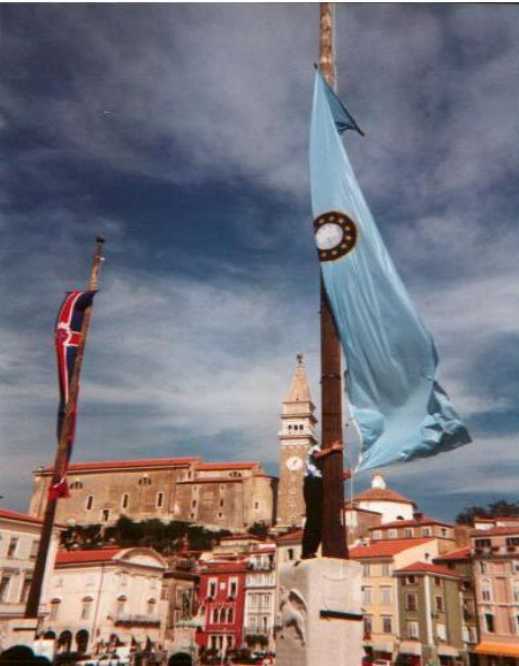 I have lectured in tourism at Bristol Polytechnic, now University of West of England, Bristol since 1983, leading field trips to many welcoming walled towns: Alcúdia, Brecon, Bergues, Chepstow, Le Quesnoy, Lucca, Tenby and Piran (ten times from 1998 to 2008). I speak fair French and German and read Italian, Spanish, Catalan and Portuguese and have co-operated internationally in my work and research (See http://www.walledtownsresearch.org/ for some 20 relevant publications). Before joining the University, I was a Marketing Manager and Transport Planner with National Bus Company in Chester, Oxford and London. I studied History, Economics and Town Planning at St Andrews (MA) and Edinburgh (MPhil) Universities (thesis on ‘Pedestrian Priority Shopping Streets’ 1975) and I am professionally qualified in Town Planning (MRTPI), Transport (MCILT) and Tourism (MTS). I currently hold a Visiting Research Fellowship at UWE, Bristol for tourism, especially walled towns research.